India’s Supreme Court Chief Justice has said it is “very disturbing” that such a “large number” of the perpetrators of the worst case of anti-Christian violence in India’s history – in the Kandhamal district of Odisha (formerly Orissa), eastern India, in 2008 – have not yet been brought to justice. “Such a large proportion is very disturbing,” said Chief Justice T. S. Thakur, as he delivered his verdict on a recent investigation into what he called the “inadequate” compensation paid to the victims of the religiously-motivated violence. The investigation noted that of the 827 criminal cases registered, 315 cases were not pursued, while of the 362 cases in which a verdict was given, “only 78 [trials] resulted in [a] conviction”. Some 6,495 people were arrested, but just 150 cases are still ongoing. India’s highest court has now ordered Odisha State to investigate “wherever acquittals were not justified on facts”. Meanwhile, the seven Christians convicted of the murder of Hindu leader Swami Laxmanananda Saraswati, which sparked off the violence, remain in jail. One of them, Gornath Chalanseth, was recently granted four weeks’ “interim bail”, but he is now back in prison with the rest. All seven, six of whom are illiterate, continue to maintain their innocence. In June 2015, “two top police officials testified before the Kandhamal judicial inquiry commission that the allegations [against the seven] were false”, reports a website seeking to free the men. However, it notes that their appeal hearing has since been “repeatedly” postponed. The Advocate-General of Karnataka, Ravivarma Kumar, has said that the Christians were given life terms despite the fact that there was “no eyewitness to the [Swami’s] murder and hardly any evidence”. Around 100 Christians were killed – though the official government record says it was just 39 – following the Swami’s 23 August 2008 murder. Branding the murder a “Christian conspiracy” (even though Maoists soon admitted responsibility), Hindu fundamentalists went on a rampage lasting three months, damaging or setting fire to 6,000 Christian homes and 300 churches, and rendering more than 56,000 Christians homeless. The Chief Justice has now ordered that the dependent children and bereaved wives and husbands of the 39 Christians whose names were on the government’s official death toll receive an additional sum of Rs 300,000 ($4,500) on top of the Rs 500,000 ($7,500) they received earlier. He also ordered compensation of Rs 30,000 ($450) for those “seriously injured” and Rs 10,000 ($150) for those who received “minor injuries”. Neither of these groups had previously received any compensation from the Odisha government. Meanwhile, he also ordered the state government to pay $150 to those whose homes were “partially” damaged and $750 to those whose homes were “fully damaged”. On top of this, the federal government was ordered to pay them Rs 10,000 ($150) and Rs 20,000 ($300), respectively. But there was no provision for those who were initially denied compensation for reasons such as damage not meeting the technical criteria imposed. Part of Father Parichha’s disappointment comes from the fact that the Chief Justice has not increased the list of beneficiaries entitled to compensation for damaged houses from 4,500 to over 6,000, as demanded by activists. “Too little, too late.” That was how Tehmina Arora – a Supreme Court lawyer who has played a key role in the legal challenge on behalf of the Kandhamal victims – summarised the court verdict. Even the improved compensation package “does not match the amount of compensation” paid to Sikhs and Muslims* after similar communal attacks, she said. Christian activists had demanded a retrial from the Supreme Court, noting that from 30 murder charges at the trial court, there had been only two convictions – due, they said, to tardy police investigations, pliable prosecution and witness intimidation, even inside the court’s premises. “This judgment is the talking point here,” Junos Nayak, a retired policeman hurt during the Kandhamal violence, told World Watch Monitor. “Everyone is eager to know if the judgment will bring any benefit to them”. His elder brother, Lalji, was killed during the violence after he refused to adhere to the 30-day deadline given to the 250 Christian families of Gadaguda village to forsake their faith and embrace Hinduism. On the expiry of the deadline, 30 September, a mob surrounded the village and attacked Lalji first because he was the village chief. He died the next day in hospital. 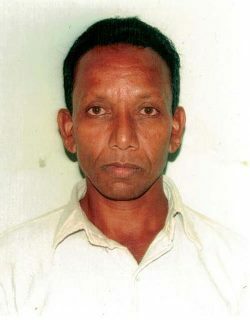 His wife, Mandakini, suffered a stab wound to the head, but survived. Junos was shot as he tried to flee the mob and had to undergo months of treatment. 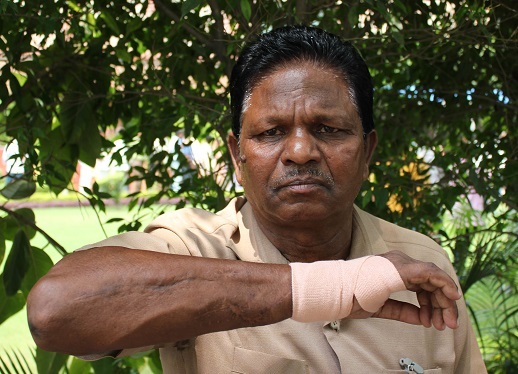 He said he was surprised when he was told that he could now be entitled to Rs 30,000 for the “serious injury” that left his hand crippled. But he said he was also frustrated by the “casual” attitude of the Odisha state authorities towards prosecuting the culprits. Meanwhile, the Catholic Archbishop who demanding improved compensation for the victims, has died at the age of 82. 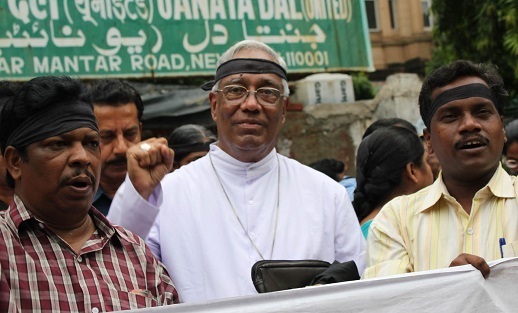 Raphael Cheenath, from the Archdiocese of Cuttack-Bhubaneswar in eastern Odisha, died on 14 August in Mumbai after losing his battle with colon cancer.